The Hoover Institution generates a wide variety of outreach products to advance our fellows’ ideas and scholarship across a broad range of issues and topics. The Hoover Daily Report is an e-mail compendium of links to the online work of Hoover’s fellows and affiliated scholars in newspapers, journals, blogs, and broadcast media. Subscribe Today! Hoover fellows and members of the various research teams at the Institution publish books on various topics and issues to provide insight and education on issues of the day. Defining Ideas is an online journal that publishes the original work of Hoover fellows and affiliated scholars to convey to the public and lawmakers an in-depth understanding of key public policy issues as part of our efforts to be part of America’s most important conversations. 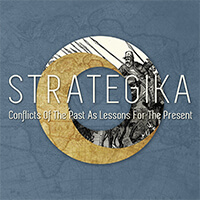 Strategika is an online journal that analyzes ongoing issues of national security in light of conflicts of the past. The Hoover Digest is a quarterly print publication that offers informative writing on politics, economics, and history by the scholars and researchers of the Institution. Eureka provides occasional discussions of the policy, political, and economic issues confronting California, identifying underlying problems and offering reasonable and commonsense reforms for our great nation-state. Over time, a popular and scholarly consensus has been reached that a few singular military histories and philosophies of war offer unparalleled wisdom. Contemporary military historians guide the reader on how best to approach such a vast but often underappreciated literature. The China Leadership Monitor seeks to inform the US foreign policy community about current trends in China's leadership politics and in its foreign and domestic policies. Peregrine is a publication of the Conte Initiative on Immigration Reform that seeks consensus on incremental reforms to US immigration policy. Preliminary academic research from Hoover scholars. The Institution publishes and markets books under the Hoover Institution Press imprint. The Press highlights the work of Hoover scholars and publishes volumes related to institutional initiatives. A weekly column that reflects on how the study of the past alone allows us to make sense of the often baffling daily violence, not by offering exact parallels from history, but rather by providing contexts of similarity and difference that foster perspective and insight—and reassurance that nothing is ever quite new. Analysis, politics, and the economics of the Golden State. A portal to host articles and provide links to content written by Hoover fellows that pertain to the prominent ideas of the 2016 presidential election as well as feature the Hoover podcast series Poll Position. The Briefing provides perspectives on national security under the auspices of the rule of law and US constitutional law. The Caravan is a periodic online symposium on the contemporary dilemmas of the Greater Middle East. Since caravans are full of life, it offers a candid exchange of opinions and debate. Immigration Reform examines legal and illegal immigration to inform the debate with fact-based analyses that identify clear improvements to what most agree is an unfair and inefficient immigration system. A blog by John H. Cochrane on news, views, and commentary from an engaging free-market point of view. This blog by Victor Davis Hanson features his work. This daily blog aims to educate, entice, and excite readers into thinking about economics in daily analyses. This blog focuses on national security law and an exploration of the term and continued debate over what lawfare means, maintained by Benjamin Wittes, Robert Chesney, and Jack Goldsmith. This blog by Paul Gregory features his writings on Russia, the world economy, and other matters of interest. Commentary on Current Political, Economic, and Social Developments in the United States and Around the World by Alvin Rabushka. Uncommon Knowledge is a series hosted by Hoover fellow Peter Robinson as an outlet for political leaders, scholars, journalists, and today’s big thinkers to share their views with the world. American Conversation Essentials is the product of the collaboration between New York City’s 92nd Street Y and the Hoover Institution featuring Hoover senior fellows delving into a broad array of topics, ranging from income inequality to national security. The Numbers Game with Russ Roberts is a “chartcast” series featuring brief conversations with scholars about important and timely issues in public policy by combining charts, tables, graphics, and cartoons with audio to render complex economic concepts more understandable. Video Presentations and Chartcasts by Hoover scholars from our retreats, board meetings, and other donor events. A weekly talk show that features one-on-one discussions with an eclectic mix of guests to illustrate economic principles. The Classicist podcast features a weekly conversation with Hoover senior fellow Victor Davis Hanson on the issues of the day. The Libertarian podcast features a weekly conversation with Hoover senior fellow Richard Epstein on the issues of the day. A Hoover Institution podcast devoted to the Trump administration and the policy avenues available to America’s forty-fifth president. Presentations by Hoover scholars from our retreats, board meetings, and other donor events. A weekly podcast highlighting education policy news, hosted by Hoover Institution fellow Paul E. Peterson. Interviews of Hoover fellows on the topics of the day. The 21st century may be the Pacific Century, and China appears poised to become America’s greatest rival for global power and influence. 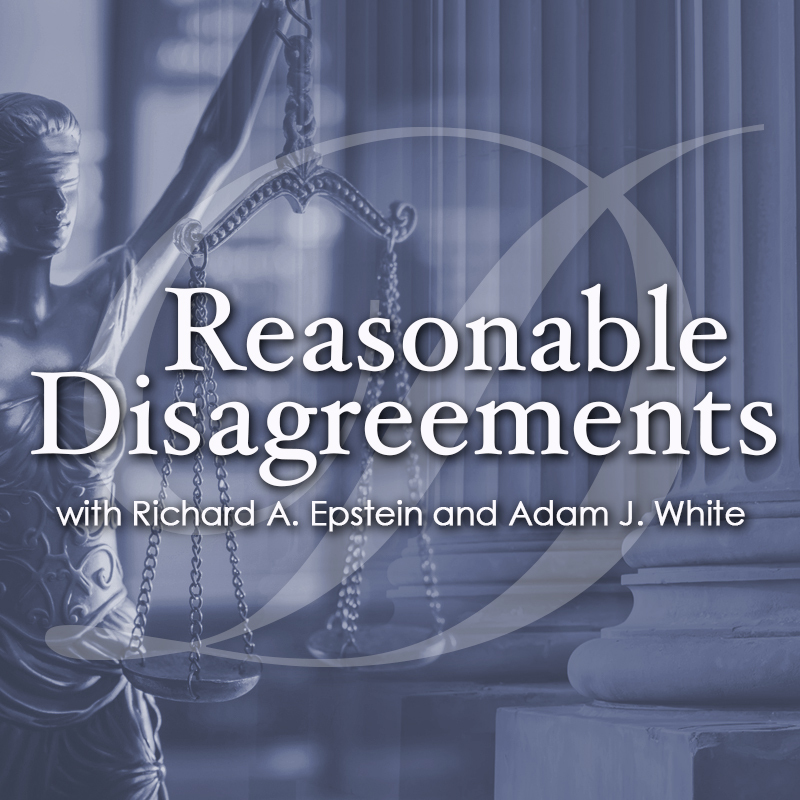 Hoover fellows Richard Epstein and Adam White discuss major legal and policy issues and debate points of disagreement between their libertarian and conservative perspectives. The Security by the Book podcast series features monthly interviews with authors of important, new national security-oriented books and publications. Authors of Strategika, an online journal that analyzes ongoing issues of national security in light of conflicts of the past, discuss their viewpoints on the current issue's topic.